Setbacks in security sector reform (SSR) efforts in Africa in recent years are reminders that establishing an effective and accountable security sector is inextricably linked to the quality of democratic governance. Only legitimately elected leaders have built-in incentives to create capable security sectors focused on citizen security. Experience shows, however, that most SSR efforts are launched in post-conflict, fragile, or contested political contexts where such incentives are weak. Complicating the challenge, even periods of genuine democratization face backsliding at least half the time. This is not to say that SSR initiatives should not be attempted in difficult contexts. Rather, that they need to be calibrated within the unique political circumstances in which they are undertaken. SSR efforts, in turn, will progress iteratively with the strengthening of a democratization process. A key objective at the early stages of an SSR process, therefore, should be building momentum and resilience. Specifically, a focus on the depoliticization of the security sector can help insulate these forces from the inevitable political pressures they will face in times of crisis or democratic backsliding. Ethics training and instituting policies for merit-based recruitment and promotion are vital. Protecting space for media and civil society is likewise central to sustaining a climate for reform. Another priority should be on improving the living conditions of enlisted soldiers (e.g. barracks, food, and protection against the embezzlement of salaries). This creates tangible benefits for these troops to stay committed to the reform process. In short, early stages of SSR should focus on people before assets. The impulse to immediately jump into conventional “train-and-equip” programs in contexts without adequate oversight or democratic incentives is much more likely to contribute to a corrupt and repressive force. 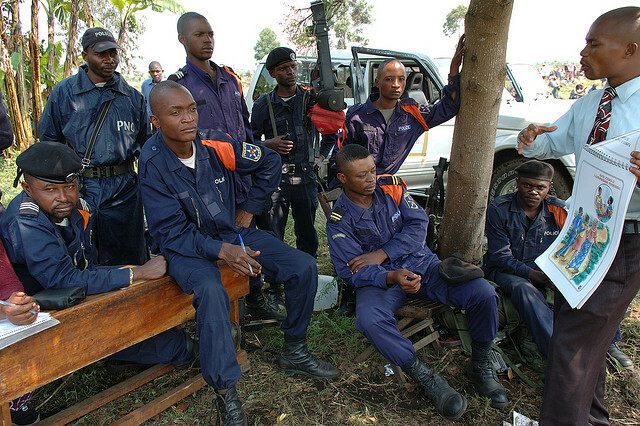 Democracy can only be consolidated when the security sector is fully committed to democratic principles. Until then, SSR efforts should be prepared for backsliding. While setbacks are to be expected, this is not tantamount to failure. While democratic reversals are common, so too are recoveries. In over two-thirds of the cases of democratic reversals, the transition process is revived within three years. This creates “second chance” opportunities for SSR, which have a track record of relatively greater progress and sustainability. Joseph Siegle, “Overcoming Dilemmas of Democratization: Protecting Civil Liberties and the Right to Democracy,” Nordic Journal of International Law, 81 (December 2012), pp. 471–506. Joseph Siegle, “ICT and Accountability in Areas of Limited Statehood” in Bits and Atoms, eds. Steven Livingston and Gregor Walter-Drop, Oxford University Press, 2014.